Pundits are wearing out their fake fainting couches over Apple missing the holiday gift-giving season with the HomePod. 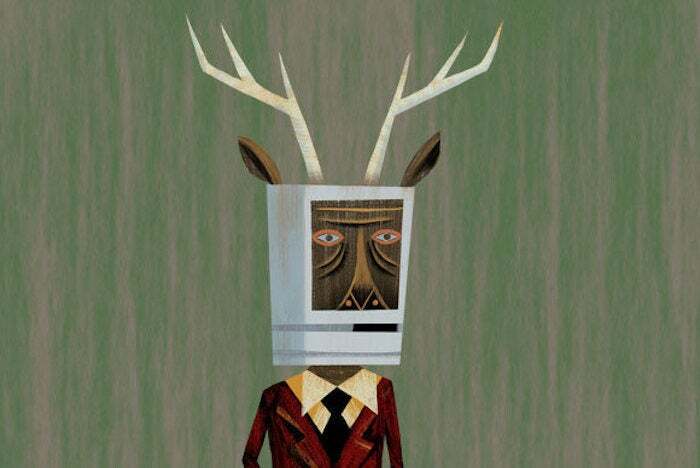 But what about devices other companies have shipped that probably should have missed the annual display of our collective avarice, uh, love, the Macalope meant love? Sometimes its actually better to finish a product before shipping it. Sure, that makes sense. Because while the Pixel phone sells in vastly lower quantities than the iPhone, people will surely use Pixel Buds with their iPhones instead of AirPods because I hope you’re not still reading this sentence because I have absolutely no answer to that particular point. Possibly the Pixel Buds will “kill” AirPods metaphorically or on a purely emotional level. Possibly they will “kill” them with love. The point is, after trying them briefly at a Google popup store, Wong is quite certain of the killing, however it is to be executed. Although, he’s not terribly clear on some of the finer points of the Pixel Buds’ greatness. Yes, let’s just completely forget why people buy things, particularly things made by Apple! Throw “design” out the window like a rancid hunk of pimento loaf which is to say any piece of pimento loaf. Because if we are forced to look at such trifles as your precious “design”, ha, well, then… uh, this article is just isn’t going to get written. You’re either going to think they look cool or look cheap. Those are the only options? And are both equally valid or is one of them way off base? Regardless, what is most definitely super-cool is the translation feature. …for taking its powerful translation technology and incorporating it into a consumer product to improve society and pull everyone even closer together. Mmm-hmm. Amen. Hear, hear. Halleluj- OK, let us save some time and jump ahead to the now, where CNBC’s Todd Haselton actually has a pair of Pixel Buds. His take is slightly different. The Pixel Buds apparently work OK in a quiet place, but not at all anywhere else. It barely worked, even if I took the buds out and spoke directly into the microphone on the right earbud, and often only translated half of what I was trying to ask. OK. Well, can we get some closure on the build quality? They also feel cheap, from the plastic covers to the charging case, which seems like it’s made out of a material one grade above cardboard. I never once got the impression this was a premium product. That is… not the case with AirPods. Also, since the fit isn’t very good, I found that the audio wasn’t any better than a set of $30 wireless Bluetooth buds I have sitting at my desk. That’s a big deal, considering these cost $159. Wong is at least consistent in thinking that $159 is cheap for either Pixel Buds or AirPods. It’s not an opinion the Macalope shares, but it’s at least consistent. The sad footnote to this is that the Macalope wasn’t holding on to that Mashable piece for a month, waiting to see a real review. No, he read the CNBC piece first and then just searched on “Apple AirPods Google Pixel Buds” and knew he’d find some piece that was all in on the Pixel Buds killing AirPods before they had even shipped. That is, alas, the world we live in. It is nice to be enthusiastic. And, hey, the Macalope thinks Google is really on to something with the translation feature. One day, hopefully, it’ll be seamless amazing. But it’s not there yet and neither are the Pixel Buds, your pie-eyed optimism notwithstanding. If you’re still considering stuffing someone’s stocking with some Pixel Buds, the Macalope will give the last word to Haselton.